We know now that the chemical hybridisation of wheat has led to countless health problems, whether that is headaches, back ache, general inflammation or a serious autoimmune disease. Does this mean we need to eliminate wheat forever? If you are sensitive to the ‘modern’ wheat, does this mean you need to avoid wheat completely? Wheat strains have boomed to include over 25,000 varieties since the original cultivation of the most ancient wheat grain, Einkorn. Since the cultivation of einkorn more than 10,000 years ago, different types of wheat grains have flooded our fields. 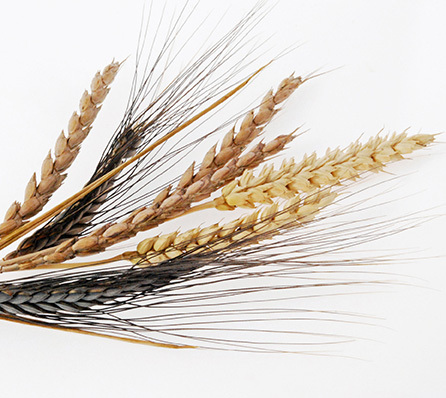 Originating as Einkorn, natural hybridisation created emmer wheat and many years later spelt was also formed. Between the 1960’s and 1970’s, emmer wheat was chemically hybridised to become triticum aestivum which is the modern strain we have today. You can read more about the changes to ‘modern’ wheat here. Although spelt is classified as an ancient wheat grain, some people find it difficult to digest it, resulting in inflammatory symptoms within the body. 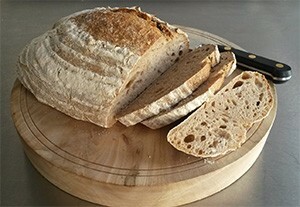 However, when we move to grains that have been cultivated for much longer, such as emmer or einkorn wheat, it is generally tolerated very well if it is fermented, such as a high quality sourdough. There are many reasons why people can tolerate emmer and einkorn wheat better than ‘modern’ wheat. The biggest reason is the level of gluten within the grains. Einkorn is exceptionally low in gluten, emmer wheat is very low and the modern wheat grain contains high levels of gluten. By having high levels of gluten in ‘modern’ wheat, it results in fabulous baking opportunities such as fluffy cupcakes, doughnuts, white bread etc. If you are unsure if you are entirely gluten sensitive or ‘modern’ wheat sensitive, remove all gluten containing grains first. This includes all wheat varieties including the ancient wheat grains; einkorn, emmer, spelt, barley, oats and rye. Eliminate these foods for a minimum of 6 weeks and then slowly introduce them one by one every three days in order to see if you react to them. Personally, I believe no one should be exposed to the modern, chemically hybridised wheat grain as it’s not from nature, so your body is likely to view it as a foreign invader which may result in an immune system reaction. The chemical hybridisation of wheat combined with the lack of preparation of the product has caused enormous health issues. We are creating ‘quick breads’, which reduces our ability to digest and absorb nutrients from the product. Many cultures ferment the wheat grain before consuming the final product. By doing this, it increases the digestibility and nutrient content. An example of this is sourdough bread! As a rule of thumb, the more genetically pure the wheat grain is (such as Einkorn and Emmer) it is more nutrient dense. So if you can tolerate ancient wheat grains then use the grains sparingly rather than every day. Ensure that you fill your diet with plenty of seasonal leafy greens, vegetables, fruits, meats and enjoy grains as a ‘treat’ rather than a ‘filler’ or a ‘must have’. Do not hesitate to get a testticket for the Ancient Wheat Train. Try einkorn, emmer and spelt to see what they do for you. You may even be so lucky as to find socalled farmwheat, which is seed being taken from the farms own harvest for many decades – they may do the trick as well. In my neighbouring country Sweden a few farmwheats have survived and multiplied to be stockgoods in a few shops. One of these I tolerate very well, the others not! My experience is that sourdough for the fermentingproces is not necessary. I generally use a pinch of organic yeast, a fair amount of salt and a little honey (the real stuff) and let the dough sit overnight at roomtemperature( or the equivalent amount of time anytime) – yummi, the tast that it creates! Hi ihave been playing around with making sourdough for our family. But I know that I have some sort of inflammation for wheat. I have a fussy 7 year old that has a bland palette and will only eat white foods. I have tried to sub other flours(Coconut,banana,almondflours) in recipes and he notices the difference. Can I do a sourdough loaf out of Emmer or Einkorn? Do these flours have a strong flavour? Yes, there is so much more taste to the old wheats, and using sourdough with them accelerates the taste – you will not be able to cheat your son with that. Some people need quite some adjustement to get to like other tastes of bread than the white no-taste ones. Where can we buy such wheat? Changing habits stocks Organic Emmer Wheat here: https://changinghabits.com.au/product/emmer-wheat-flour-1kg/ but you can also source it from other online shops or health food stores.